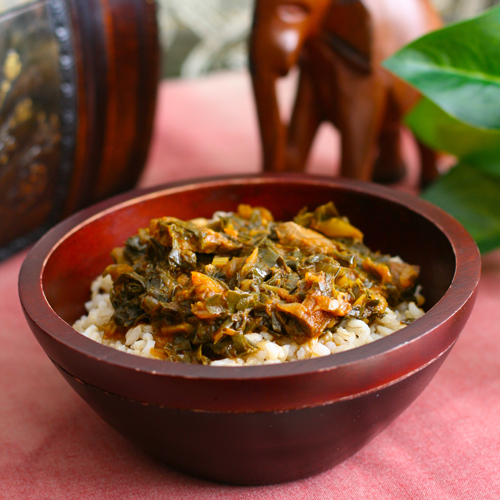 Stewed greens served over rice is one of the most common and well-known Liberian meals. It's also served in many other West African countries including the Cote 'd Ivoire (Ivory Coast), Guinea, and Sierra Leone. In Liberia all the toppings served over rice are referred to as "soup" and usually contain meat, onions, palm oil (refined or unrefined, depending on the recipe), and hot hot peppers. Clean sinuses and a sweating brow are common side effects to eating traditional Liberian food! 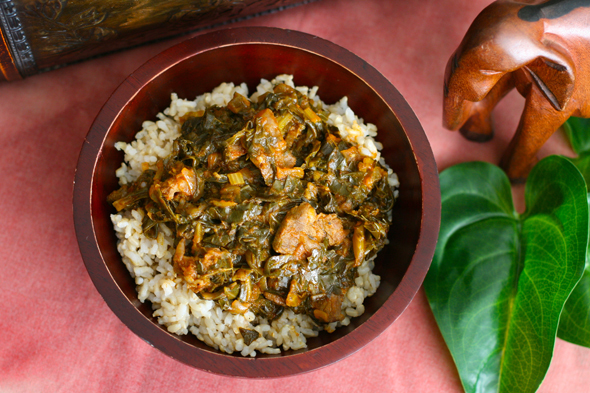 There are many kinds of greens used in these stews including sweet potato greens (Liberian "potato green soup"), collard greens, cassava (tapioca) greens, and several types of indigenous greens. The Liberian cabbage soup is also made with this same recipe. The Liberians who still live in villages (about 50% of the population), plus a fair number of those from urban areas, grow small patches of sweet potato greens, cassava/tapioca greens and sometimes collard greens and cabbage. Women and children can frequently be found in their gardens picking fresh produce to cook later that day. (You can read more about Liberian agriculture here). Wild greens that grow in the surrounding jungle are readily available and used for stewed greens as well as a number of medicinal preparations. Produce is often transported to larger towns and sold in market places such as the one shown here. The large blue bucket with greens overflowing are for a meal, and the dried greens under the table are for medicinal use. In the villages food and goods are most often transported by people traveling on foot and carrying sometimes incredible loads on their heads. The greens are always shredded very finely for the meals. The cassava greens are actually pounded in a mortar with a pestle into a fine mealy texture. Here my friend Eveline is shredding potato greens. The greens are packet tightly into a bundle then shredded with a sharp knife very close to the hand. The skill these women have in shredding the greens by hand never ceases to amaze me. Little girls are taught to do this at an early age and I've never heard of anyone cutting themselves. 1. This is my recipe for Liberian greens. It is for collard greens with palm oil, but I used kale as it is more readily available and cheaper than collard greens, yet has the same flavor when cooked. But the recipe is very versatile and can be used with a number of dark leafy greens as well as cabbage. Spinach does not work with Liberian greens recipes as it is too tender and becomes mushy. Authentic Liberian cassava leaf and potato greens can sometimes be found in the frozen section of African food markets. The Liberian sweet potato is different than the American variety. Some people have found success using the American variety in Liberian potato greens soup, while others say it is just not the same. 2. Traditionally bone-in meat is used for all the Liberian stews. The flesh, skin and cartilage are all chewed off the bone and the marrow is even sucked out the ends. Though this seems gross to most Americans, this is crucial for receiving vital nutrients found in the bones for the Liberians to remain healthy. We'd do well to learn something from these tribal diets, though I've used chopped pieces of meat in my recipe as this is much easier to eat and more kid friendly. 4. This recipe is paleo approved. It can be eaten without rice for those who are avoiding all grains, but naturally it is going to be best and most authentic served over rice. For grain-free diets I suggest trying the greens on cauliflower "rice". 5. Weigh the greens at the grocery store to make sure you purchase enough. You will need way more than you think you need as they shrink down so tiny! Shredded, one pound will probably be at least 16 cups. 6. Plan ahead as this recipe is fairly time consuming due to all the preparation of the greens as well as cutting the meat into pieces. But the greens can be cut in advance, up to two days, and the completed recipe freezes very well. 7. Dark leafy greens are actually more nutritious when cooked. 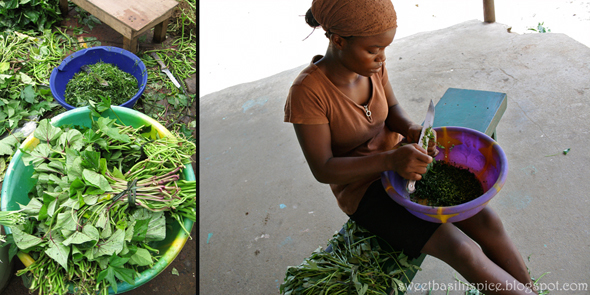 The Liberians simmer their greens for over an hour sometimes! My recipe only needs about 20 minutes, but for those who are worried that you'll be killing all the nutrients, don't worry - you'll actually be making a number of them more available. (For example, some vitamin C is lost during cooking, but way more calcium is available after cooking). 1 to 1 1/2 pounds hearty dark greens such as collard greens, kale, or even cabbage. 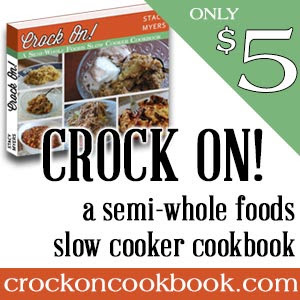 I've used beat tops and also suggest trying turnip and mustard greens. (You will shred these, instructions below). 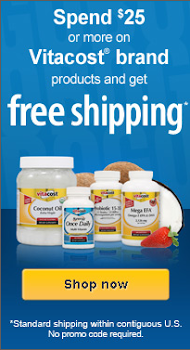 2 tablespoons liquid aminos (coconut aminos are paleo) or 1 large bullion cube (preferable MSG-free). Salt can be used if you don't have or choose not to use either of these. I would start with 1 teaspoon and work my way up. Short grain brown rice, or rice of choice for serving, at least 1 1/2 cups cooked rice per person. *Canola and peanut oils are not healthy oils but are fine to use if you have just come here for the Liberian recipe and don't have any of the other suggested oils. **In Liberia this very subtle (and not fishy at all) flavor would be achieved by the addition of several small dehydrated fish. Begin by washing and shredding the greens. Rinse of the greens with cool water to remove any sand or soil. Pat dry with a clean towel. For larger greens like kale remove the thick woody stems. Stack the leaves together then roll up into a fist-sized bundle and slice with a very sharp knife as small as possible. I aim for 1/4 inch, but even that is hard to achieve (most slices end up being thicker). Before my food processor met an untimely death I was able to shred them with the shredding blade (not the chopping blade in the many compartment of the machine), but I was not able to shred them with my Kitchen Aid's shredding attachment. The more finely they are shredded the more authentic - and digestible - they will be. Pile the shredded greens into a very large bowl. Once they are all shredded run clean water into the bowl and swish the greens around to remove any bits of soil that may have remained. The sand should have settled to the bottom of the bowl so you'll want to lift the shredded greens out by the fistful and place in another large bowl. If there was a lot of sand on the bottom of the bowl you'll want to repeat this process once. Do not shake out the greens as the water left in them is just the amount of water you will need to add to the sauce. (There should be about 2 cups water that cling to the greens). Slice the onion and mince the garlic and place on top of your pile of greens. Now that the greens are ready, you can proceed with cooking the meat. Turn the heat to medium and melt two tablespoons oil in the bottom of a large pot. Add the meat and sprinkle with seasoned salt. Cook, stirring occasionally until the meat is cooked through and starting to brown. Remove from the pot and keep warm in a bowl. Dump the bowl of greens (and onions and garlic) into the oil in the bottom of your hot pan. You may need to do it in two batches after the first batch wilts a bit. Put a lid on the pot and stir every few minutes to mix the greens down and make sure they cook evenly. Stir in the remaining ingrediants. Once smooth and incorporated taste to see if it needs more salt. Add the meat and reduce the heat to low. Simmer for about 20 minutes or until the greens turn very dark green. Serve over hot short grain brown rice to be the most authentic, or the rice of your choosing. Preparation time: 1 hour. Cook time: 40 minutes. Servings: about 6. I continue to post more delicious West African recipes! FINALLY an explanation on the potato greens! I asked everyone i could think of what types of potato greens they are cooking (as white potato greens are toxic to eat) and all my Liberian friends shrugged their shoulders at the different varieties, so I have made this with collard greens.